There’s a famous saying, “Fail to plan. Plan to fail.” A successful renovation starts with planning. Plus, working with an experienced general contractor who implements a good renovation plan, you’ll be able to end up with a high-quality, cost-efficient renovated space. 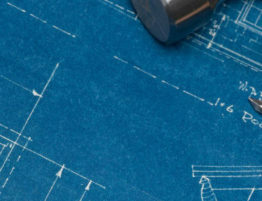 Smart planning begins by answering the questions, “what is the goal of the commercial renovation?” In other words, what are you trying to accomplish? Do you want to upgrade finishes, install new technology, change the functionality of the space or the flow of the office? Second, knowing what the potential obstacles to renovation are will help create a more reasonable timeline for construction. For example, will the space be occupied during renovation? Budget is an important consideration of course and allowing for contingencies can ease the stress when minor renovation issues appear. Plus, before the project has started you’ll want to make sure your budget supports your expectations of renovation. Involving a general contractor early on in the project will ensure an accurate budget and timeline. An experienced GC (general contractor) will be able to set real-world numbers into the plan and drawing from extensive field experience, know how long each phase of the project will take. Inspecting and knowing the age and operating condition of all mechanical and electrical systems. The quality of the existing utilities. Any historic elements or concerns. A preliminary site evaluation will uncover some of the potential obstructions in completing the renovation plan; however, some conditions may not be discovered until walls are taken down or a more thorough inspection of the electrical or plumbing is completed. This is why it is important to have some money set aside for contingency plans and renovations.